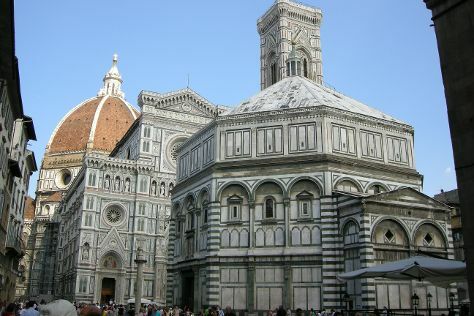 Get some historical perspective at Cathedral of Santa Maria del Fiore and Piazza della Signoria. The adventure continues: admire the masterpieces at Uffizi Galleries, get great views at Piazzale Michelangelo, examine the collection at Academy Of Florence Art Gallery, and take in the views from Ponte Vecchio. To see traveler tips, maps, more things to do, and other tourist information, read our Florence tour planner. If you are flying in from Romania, the closest major airports are Peretola Airport, Pisa International Airport and Bologna Guglielmo Marconi Airport. In June, plan for daily highs up to 33°C, and evening lows to 21°C. Finish up your sightseeing early on the 3rd (Mon) so you can travel back home.